Yes I am being mischievous here exploiting the term Grand Cru, moreover a wink to Allen Meadows’ title for his newly minted book ‘The Pearl of the Côte – the Great Wines of Vosne-Romanée’, however if there is an Antipodean equivalent to the famous Burgundy region of Vosne-Romanee and its Grand Cru, Felton Road most definitely has to be it. 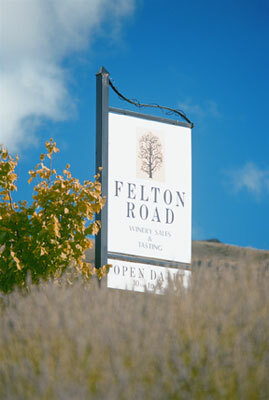 Central Otago is already typecast as producing a substantially endowed style pinot noir although I would suggest this is being confused with profound – as Felton Road is – with its caressing silky, rich textures and voluptuous elegance with an absolute “pinosity”, penetrating depth of flavour and scents wild thyme and earthy notes of silty tailings from gold mining days, all resonating a ‘a sense of place’, or in other words, a Grand Cru. Equally compelling as the wine, Felton Road Elm’s Vineyard setting is exceedingly dramatic, surrounded by snow-capped mountains and fascinating eroded rock formations created 140 years ago by gold miners sluicing away entire hillsides and leaving it looking more like Navajo territory in the Arizona desert. But this is the deep south of New Zealand with the most pristine environment on this planet and remarkable summers and special sunlight that sinks behind the mountains as late as 10pm, like someone turned the lights out, and plunging the temperature to 14 degrees Celsius, snap-freezing in the flavours and indelible natural acidity. One of the most entertaining, intellectual yet lucid New Zealand vignerons, Nigel Greening, truly the man who loved the wine so much he bought the winery, will be presenting a flight of Felton Road Chardonnay and Pinot Noir. Not to be missed.